I completely missed your birthday month on the blog this year. Not your actual birthday, of course -- for that there was the sleepover party with your besties and the dinner with grandparents and the earlier dinner with your other grandparents plus the museum party with school friends and about 847 presents that were exactly what you wanted. 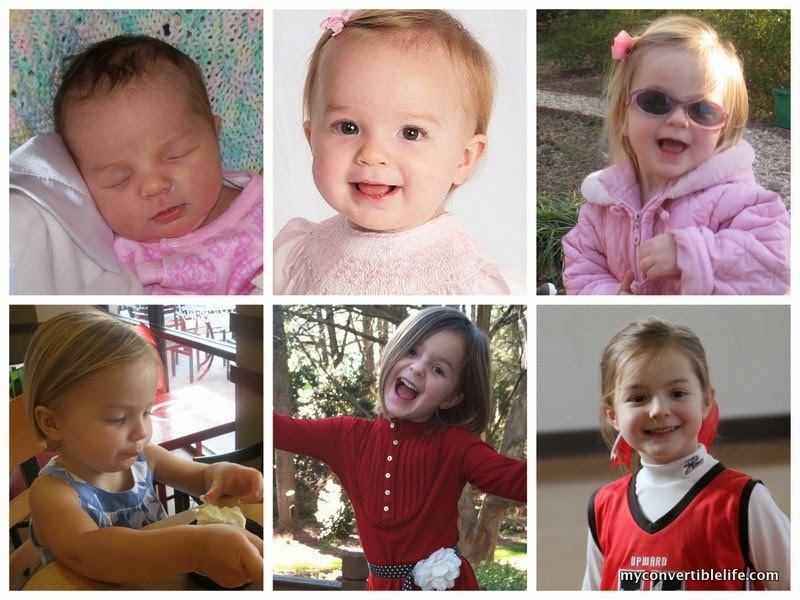 You turned seven this birthday. Seven doesn't scare me so much, except that you seem to be seven going on 17 -- and that is terrifying. Right now, you still love me. You actually tell me that, almost every day. You give me tight hugs and pronounce me "the best mommy ever in the whole universe" on a regular basis. You ask for extra kisses when I drop you off at 1st grade, even when I'm running late for work and being short with you. You want to be my sidekick, want me to be your playmate, want to show me everything. Sometimes I catch myself wondering when it's going to stop. When are you going to be too big, too grown, too stylish and notice that I am too old, too embarrassing, too out-dated? I try not to worry, to stay in the moment. I hug you back until you let go first, fill your pockets with blown kisses to save for later, lie beside you and scratch your back at night. I admire how funny, smart and strong you are. Some days I remember. Then there are days when I forget everything except that, no matter how frustrated I am, I am not allowed to sell you on Craigslist. Those days -- when you don't listen, don't follow directions, don't want anything to do with me -- push me past my limits. And yet still, even on those days, you love me. I hope you know that I love you, too. When you ask funny questions like "What does Taylor Swift mean when she says she's a nightmare dressed like a daydream?" I know you're just trying to make sense of the lyrics you're shockingly good at remembering. But it also reminds me that there is so much you don't know about, don't understand, might not be prepared for. You are my baby and I want to protect you from all of them. There will be hundreds (millions?) of things in the coming years that I will get wrong with you -- things that will disappoint or infuriate you. I can already see some of them, but I'm not sure that will help me avoid the mistakes. When those moments come, I hope that both of us will feel some tiny pull back to these days to bind us together. You are my second child, my last born. When you were brand new, I was able to soak in all your warm, round, sweet babyness in a way that I couldn't in the early terrifying first-born days with your brother. So bear with me while I try to keep you small for just a little bit longer, keep telling me you love me and be patient with me on the days I forget.